Question #57: Refute the view that Christ carried His blood to Heaven and sprinkled it in Heaven. Utilize John 20:17. Don’t cling to me – I’ve got business to do yet! Answer: It is a stretch to posit the view that Christ carried His blood to heaven and sprinkled it in on the mercy seat in heaven. I suppose it makes for a great speculation in a sermon but hardly substantiated by Scripture. 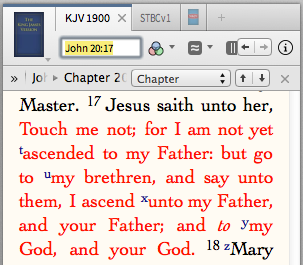 John 20:17’s “touch me not” simply means “don’t cling to me–I’ve got my Father’s businesses I’ve got to do” just like when He reminded Mary (His mother) what He was about back then when He was 12. Christ is simply saying, “Look, Mary, I’m still here, so don’t act like I’m going to go gone already. But yes, go to my brethren and tell them I’m going to go away” which of course later took place. No big deal there–not a stretch at all–can’t use it to mean He did ascend to carry His blood and sprinkle it on the mercy seat in heaven.